Not too long ago, people from everywhere would say that the Philippine peso was so weak and had so little value. I remember that many Pinoys would convert their money to US dollars because the peso loses values so fast, it seemed to be the prudent thing to do for them then. About five or so years ago, I met a person selling a financial product that would give you about 2-percent per-annum yield over 10-plus years. I challenged the person pushing the product because of the ridiculously low yield for an instrument that you needed to wait for at least a decade. The person selling the product told me the actual yield of the product was much higher if you factored the historical depreciation of the peso—he used 8 percent. He said that in reality, you actually got a product that gives you 10-percent annually. Duh! I remember politely telling him to change his sales pitch as he was treading on dangerously thin ice. I doubted that he followed my advice, though, as there were hordes of people selling horrible dollar-based financial products that capitalized on the weakening of the peso. About the same time, I started telling people not to put too much of their money in US dollars because I felt that the appreciation of the US currency was too much, too fast and beyond logic. Even back then, studies showed that the US economy was not as strong as people thought it to be; in fact, it was a time bomb waiting to explode. No, I do not have a crystal ball. Nor am I a genius in forecasting. I merely urge people to diversify and exercise common sense. Things change and times change. I remember my parents and grandparents telling us that the best investment we can make was land, land and land. I had a cousin who once told me that the best investments are those that are made in the stock market. My businessmen-friends would tell me that nothing beats having your own business. Well, they may be sensible and may be correct at some point. However, we can’t really make a judgment call on something that is relative…relative to our own perspectives. In the end, we always need to factor in the risks of our initiatives—is it OK to take the risk that is inherent to the endeavor we are undertaking? Is it consistent with the achievement of our financial objective? Did we consider the time frame for our undertaking? Too many questions, but they all deserve to be answered. It is my belief that whatever undertaking we take in life, it must have good foundations—this is true with our investments as well. We need to develop our base on proper money management, appropriate savings and a lot of common sense—these are the foundations that would bring real prosperity. “He is like a man building a house, who dug down deep and laid the foundation on rock. When a flood came, the torrent struck that house but could not shake it, because it was well-built” (Luke 6:48, NIV). 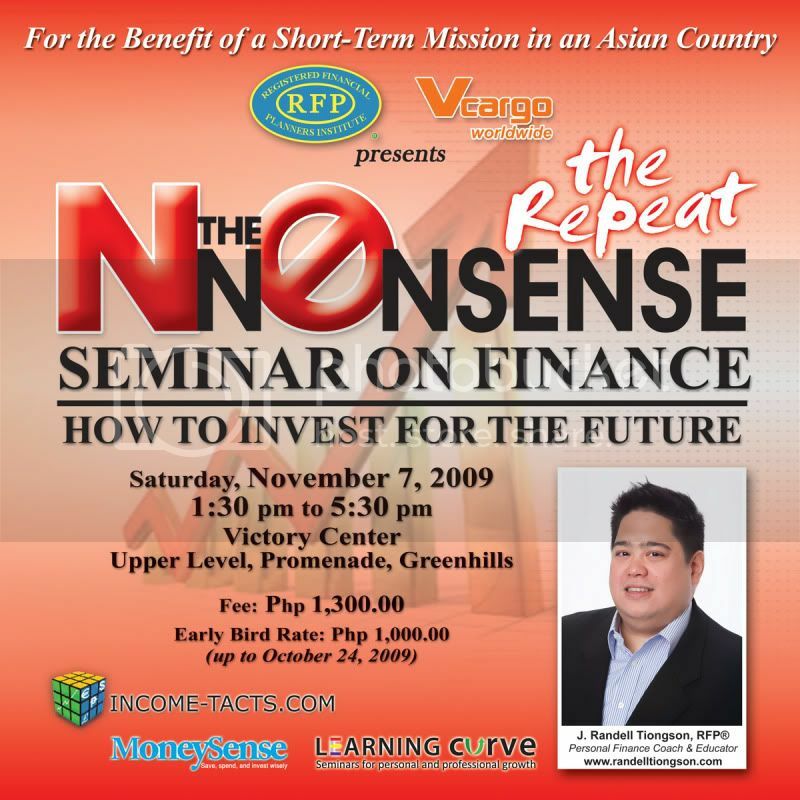 Due to public demand, the “No-Nonsense Seminar on Finance: How to Invest for the Future” will be having a repeat on November 7, 2009, from 1:30 to 5:30 p.m. at the Victory Center, Upper Level, Promenade, Greenhills. 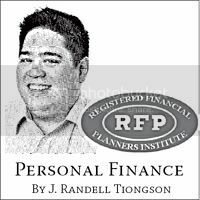 To learn more about the event, visit http://randelltiongson.com. Catch the early- bird rate if you register and pay before October 24, 2009.